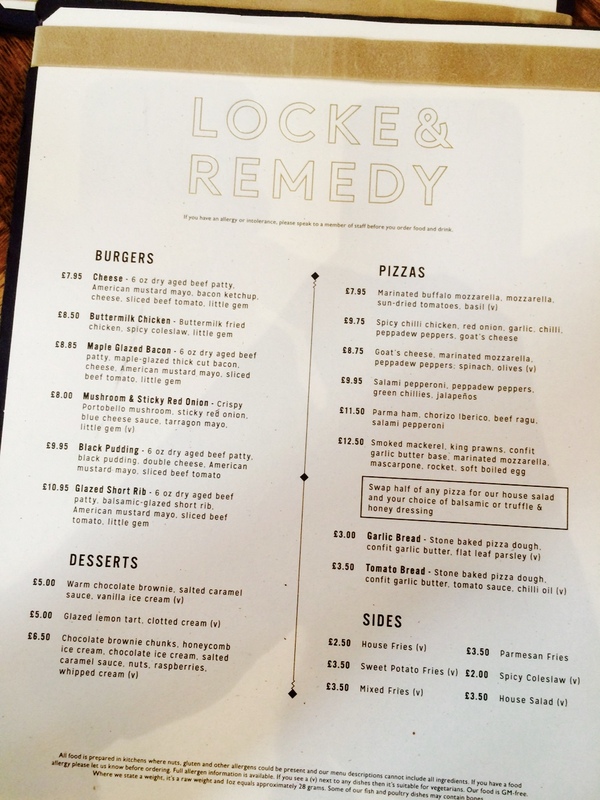 When I was invited to review Locke & Remedy in Cardiff I had high expectations. I had heard lots of good things and from following their social media accounts I had seen plenty of photos of their drool worthy food. The day we visited I had been feeling rather unwell for nearly a week with a cold virus that had been doing the rounds in my area and I hadn’t had much of an appetite. Its rare that I go out for a meal and can find no fault at all. Normally where the food is good, the venue doesn’t always match up or the service is slightly below par. 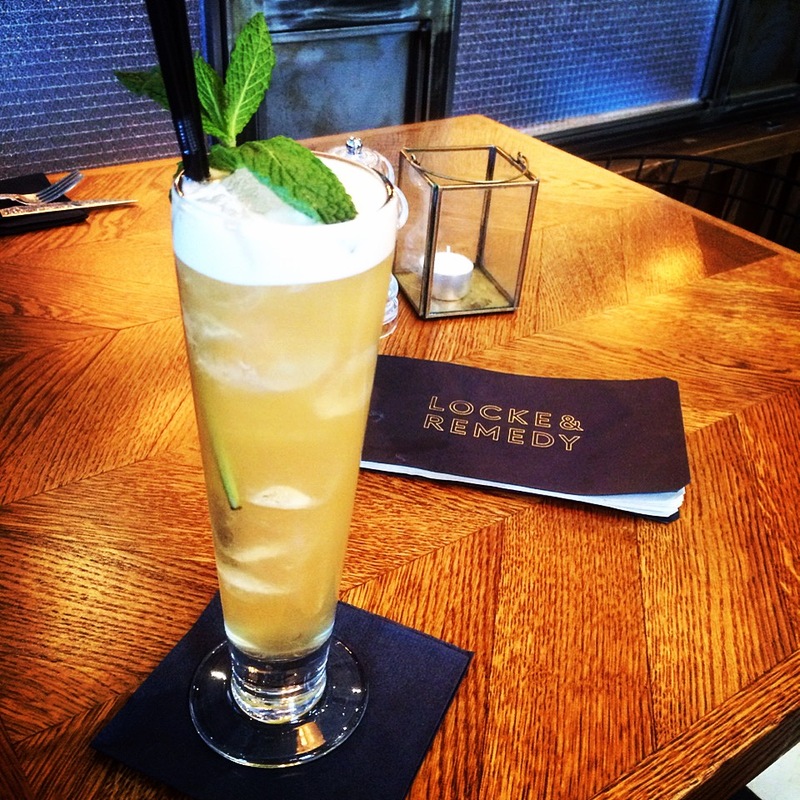 Locke and Remedy welcome you with open arms – not just if you are a food reviewer. I saw first hand the way they treated other customers. The staff were so attentive and friendly. We were looked after by Danny – a genuinely lovely guy who took an obvious pride and joy in his work. He knew how the food had been cooked, what complimented what and recommended the most perfect drinks for us. Thanks Danny! We had been encouraged to try all aspects of their menu which is simple and small. They offer burgers and pizzas with delicious sides and a limited yet perfect dessert menu. A smaller menu means they can offer freshly cooked and well considered dishes. 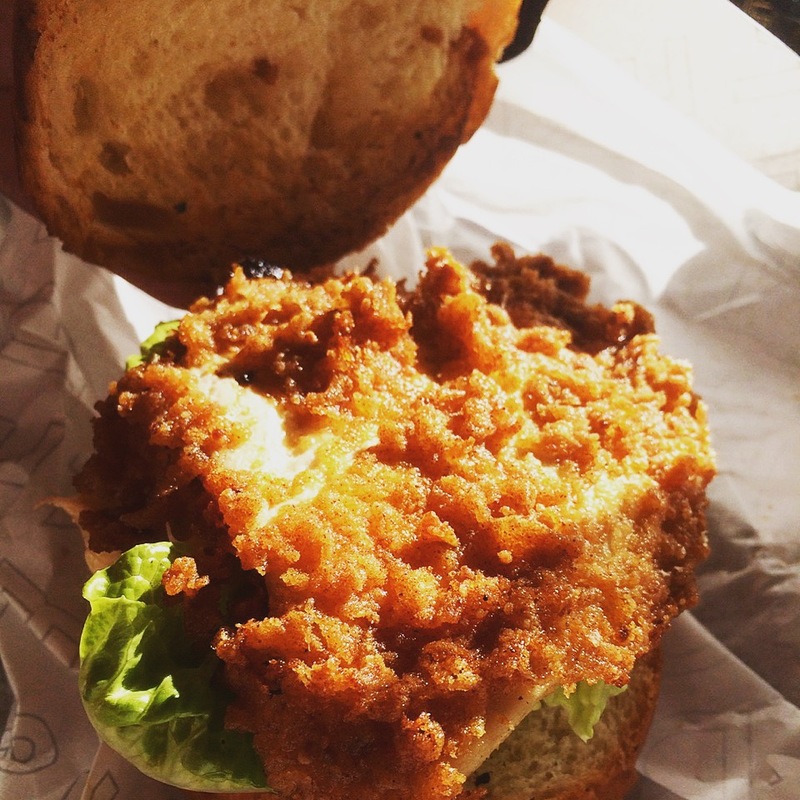 I had a Buttermilk fried chicken burger which contained spicy coleslaw and little gem lettuce. My sides were Sweet Potato fries and the house salad. I had a blackberry mocktail to enjoy alongside my meal. Andrew had the maple glazed bacon burger, which contained a 6oz dry aged beef patty, thick maple glazed ham, cheese, American mustard mayo, sliced beef tomato and little gem lettuce. His sides were the House Fries and Spicy coleslaw. He enjoyed a Californian Lager to accompany his meal. 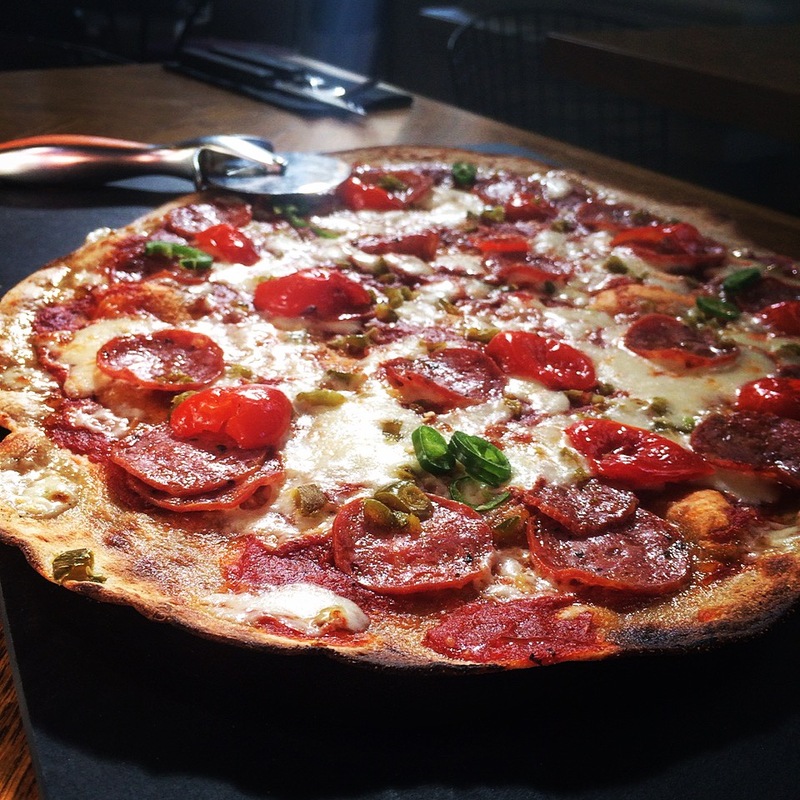 We also shared a sourdough stone baked pizza with salami pepperoni, peppadew peppers, green chillies and jalapeños. I cannot tell you enough how much we enjoyed our meal. The buttermilk chicken was moist with the most deliciously crispy batter.. I actually commented that I could have eaten a bowlful of the batter.. it was THAT good. 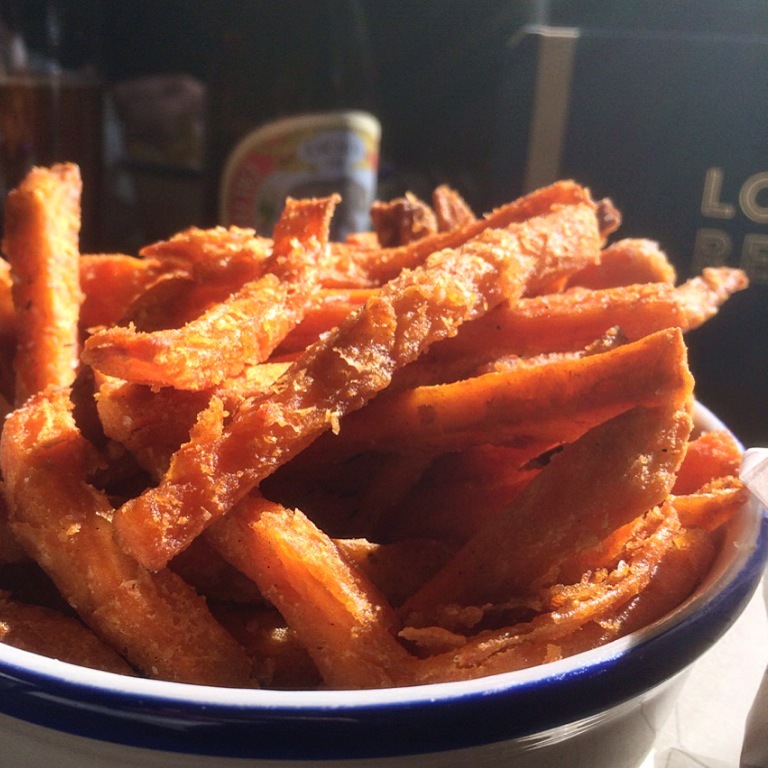 The sweet potato fries that accompanied my meal were crunchy on the outside and fluffy and full of flavour inside – sweet potato fries are notoriously hard to master and these were by far the best I have had. My salad was fresh with a lemony dressing. 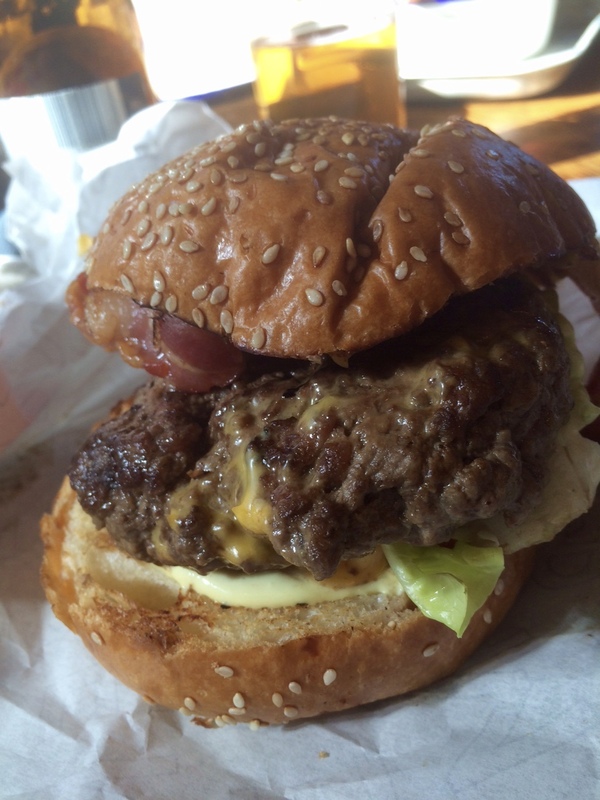 We split our burgers in half so I got to sample the maple glazed burger too which was incredible! It was packed full of flavour and definitely moreish. 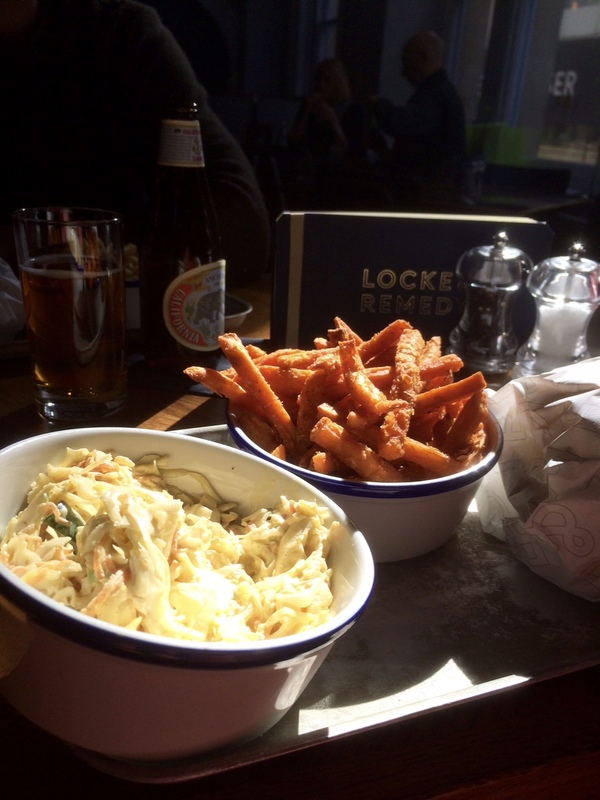 The spicy coleslaw that Andrew chose to go with it was clearly freshly made with a dressing that had the best kick! His fries were pretty awesome too. It was the first time I had a pizza with a sourdough base and it was so thin and had a great crust. The hot and spicy toppings were a perfect combination and the way it was cooked imparted a fabulous smoky flavour. Oh I could eat this again and again. Onto the drinks. 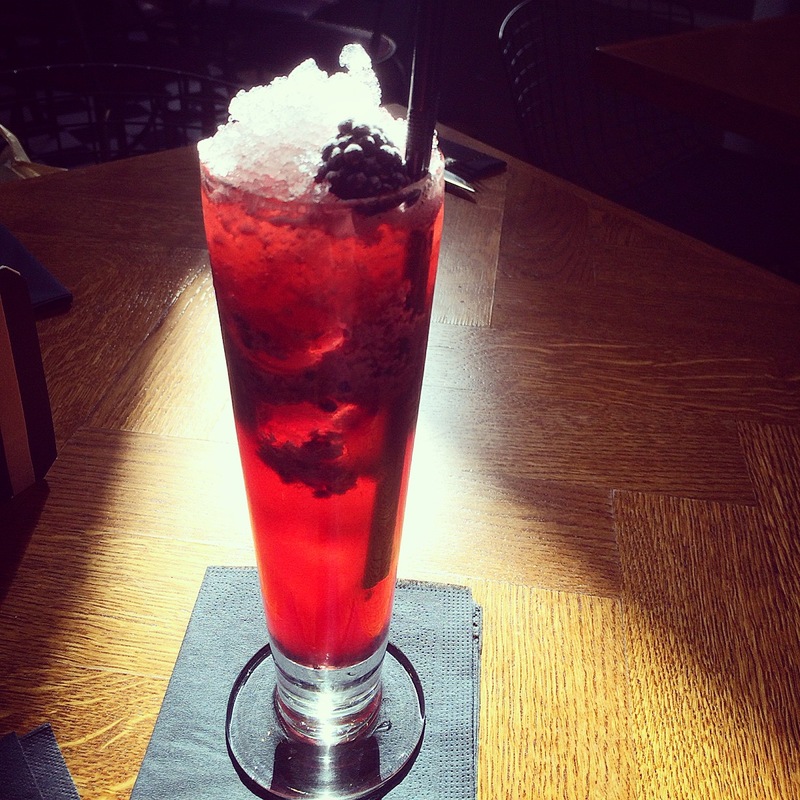 The blackberry cocktail that had been recommended to me was incredibly refreshing, you don’t often see fresh blackberries in drinks and it eased my still sore throat. Andrews lager was a brand he had not tried before but certainly wants to again. I also had an iced tea – a drink that I never usually order but I loved it – its made at the restaurant rather than ordered in. We didn’t really have room for desserts but we were urged to give them a whirl and it was worth the fact that I slipped into a food coma almost immediately afterwards! 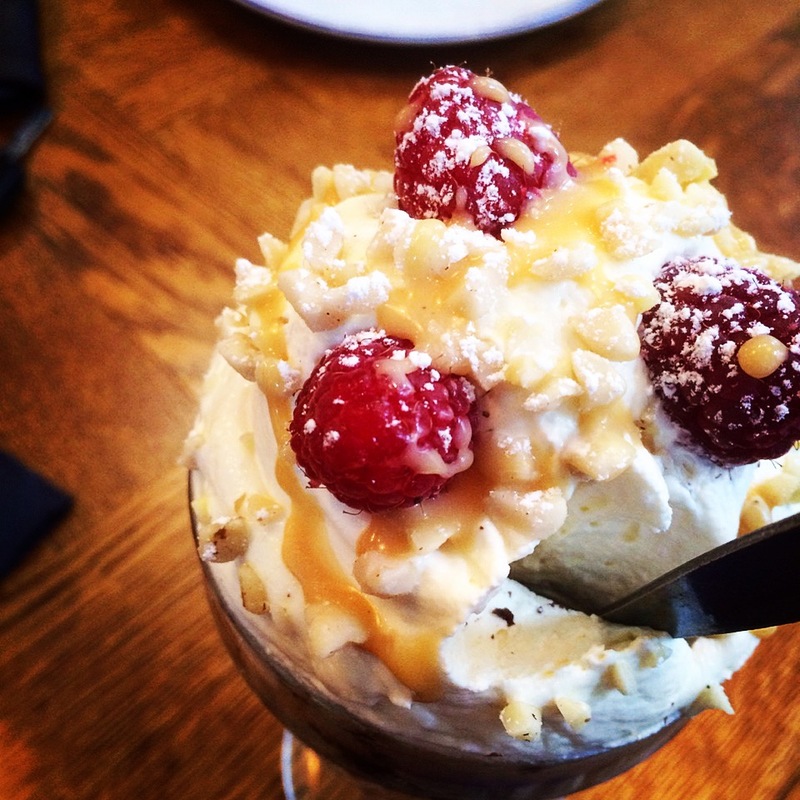 I had the ice cream sundae which had layers of homemade brownie, honeycomb ice cream – again made at the restaurant, mounds of freshly whipped cream and raspberries to top. Ah isn’t it just beautiful? I managed to eat about a third of it before Andrew thankfully stepped in. Andrew had a lemon tart served with clotted cream which I managed to have a mouthful of ..just enough to judge how utterly perfect it was. 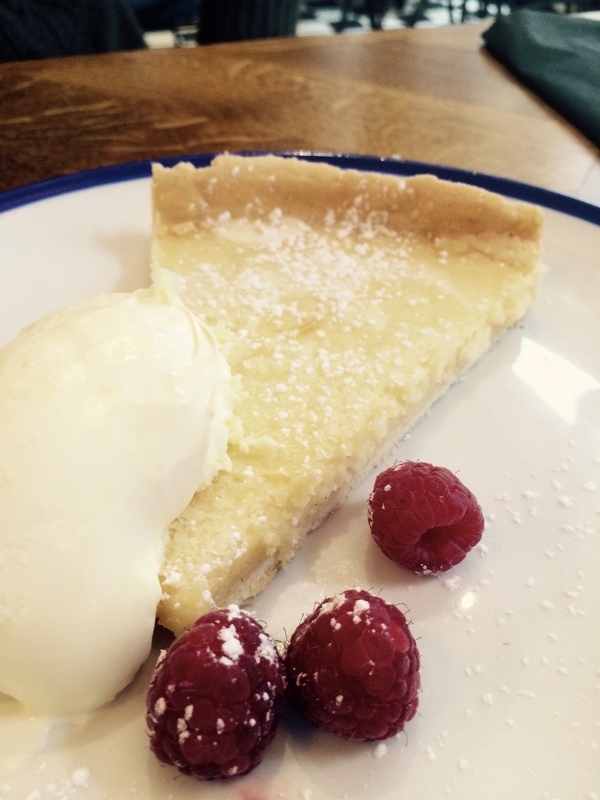 Crispy, buttery, sweet shortcrust pastry with sharp yet sweet lemon filling. It was quite honestly one of the best meals I’ve eaten in agessss. No fuss or pretention. Just great food served properly. If you live in Cardiff, visit Cardiff or within the surrounding areas I urge you to seek out Locke and Remedy and try it for yourselves. I could eat there again tomorrow. You can find Locke and Remedy on Trinity St, Cardiff in the former Cardiff City library. 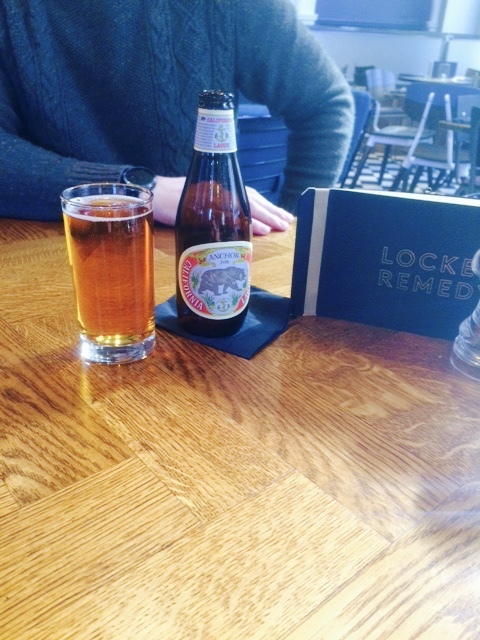 We were invited to Locke and Remedy for review purposes and as such our meal was complimentary.